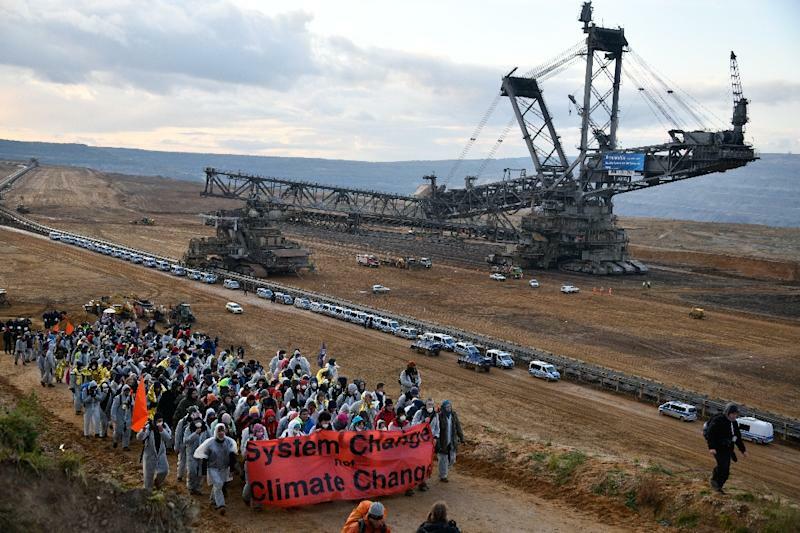 Frankfurt am Main (AFP) - German insurance giant Allianz said Friday it would stop insuring coal-fired power plants and mines extracting the fuel, adding that it aims to divest from the sector completely by 2040. "We want to promote the transition to a climate-friendly economy," said chief executive Oliver Baete, with the move part of a wider push to integrate the 2015 Paris Climate Agreement into the group's operations. Allianz will continue for now to insure firms that produce energy from "multiple sources" including renewables or other fossil fuels as well as coal. Industrial insurance boss Chris Fischer said the firm would "work closely together" with its clients to develop lower-carbon options. Allianz also invests the vast volumes of premiums it collects from insurance customers on financial markets, giving it another channel to influence businesses towards reducing greenhouse emissions. From 2015, it began a scheme stopping investments in firms which generate more than 30 percent of their turnover from coal. A spokesman told AFP the programme has since seen 225 million euros ($269 million) of cash removed from such stakes. Allianz's climate-friendly moves are designed to help prevent global warming from exceeding 2.0 degrees Celsius (3.6 degrees Fahrenheit), as agreed by almost all countries of the world at the Paris conference. The spokesman said the group also plans to "double" its stakes in renewable energy projects. In late 2017, Allianz had around 2.5 billion euros out of its more than 660-billion-euro portfolio invested in green energy.